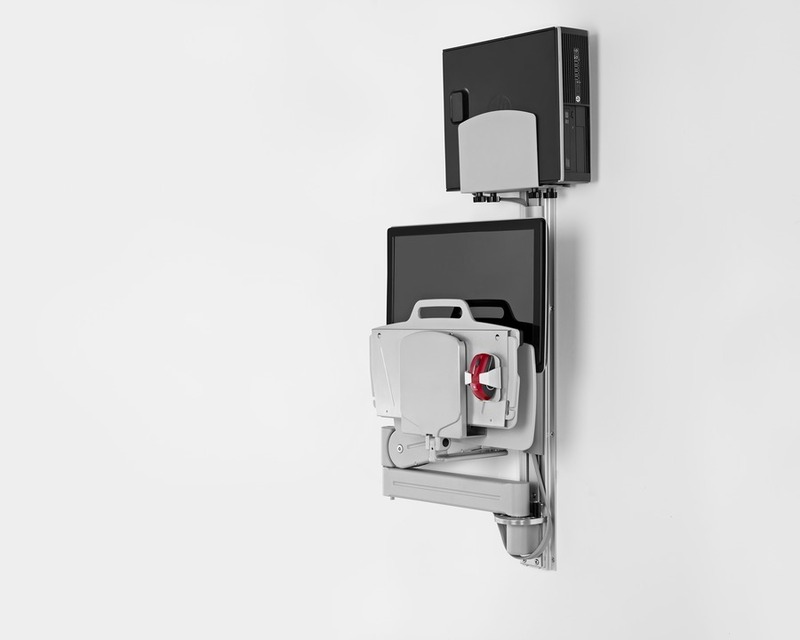 Built for heavy-duty technology use, this track-mounted support can hold up to 40 pounds, then fold within seven inches of the wall when not in use. Treated with anti-microbial finishes, it features a second surface to rest a clipboard or chart. 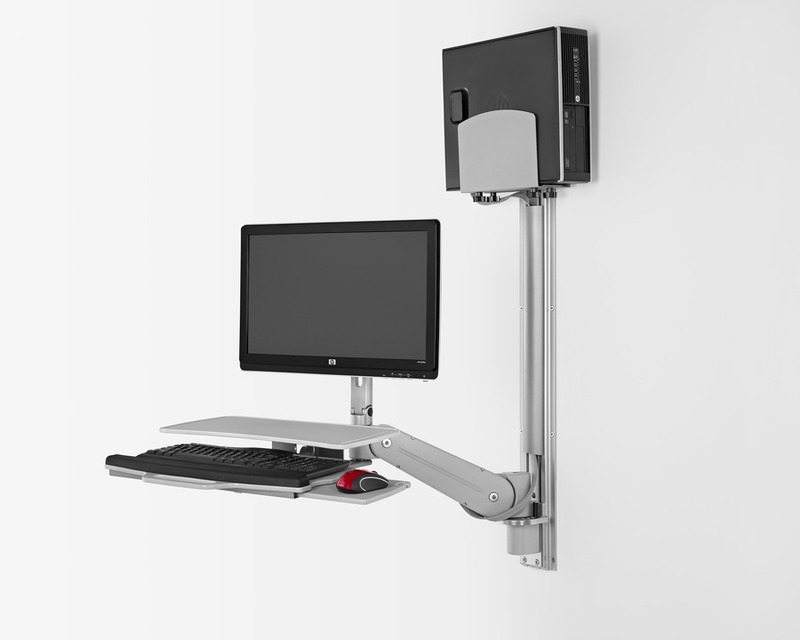 Available with an attachable CPU support, it is ideal for use with high-definition screens or all-in-one CPUs in clinical or patient bedside settings.